It's going to get messy. 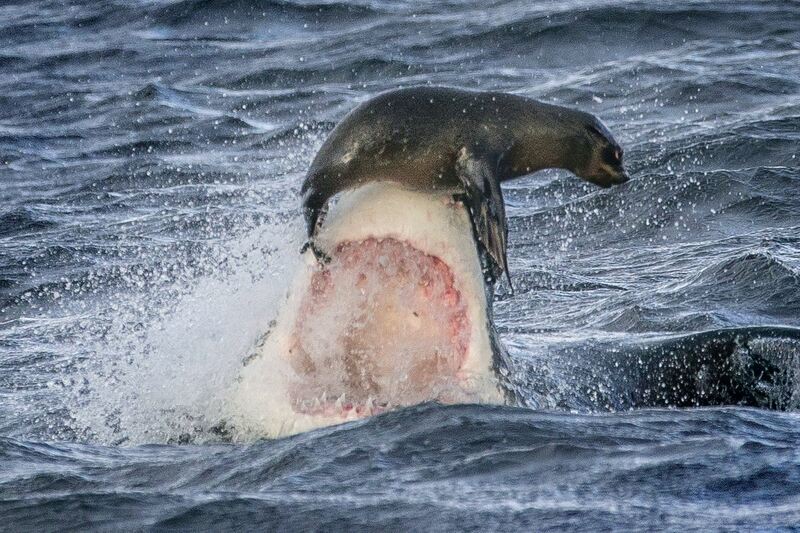 As Queen of all the Great White Sharks left in the seas, I have watched and squirmed with great embarrassment as the unedifying image of Lil’ White balancing a seal on his nose has been beamed around the world in recent days. I believe it’s called going viral. Due to a momentary lapse in judgement of Lil’ White, the Great White specie is in danger of losing all respect as a professional and dignified killer. We are fast losing our notoriety. The Great White specie has become a laughing stock in just a matter of days. It’s been such a rapid fall from grace that our distant relatives are mocking us. The Hammerhead, Tiger Shark, Blue Shark and Mako Shark are all laughing at us. They’ve been taking the piss calling us The Great Whiff, The Great Willy, The Great Nose and all sorts. Even the dolphins─believe it or not─have composed a limerick at our expense. Lil’ White messing about with his seal food. This is why I felt it incumbent upon me to put out this release to correct the quickly spreading misconception about the Great White. I have to do this before this malaise, as exemplified by Lil’ White, spread through the junior ranks. The image you saw of Lil’ White balancing that seal on his nose is an aberration. It is not the norm and never will be the norm. Lil’ White has probably been watching too much sea life theme park television. For over 400 million years our ancestors have built our reputation as the apex predator. I’d be damned if the irresponsible Lil’ White is going to wipe that out in the blink of an eye. On the subject of food, every Great White, from birth, is taught to be professional about it. What with the declining population of the specie. The principles of stealth, ambush and precision are ingrained from the crèche years. And today we stay true to our hunting instincts. We are not in the business of messing about with food. A 250 pound─rich fat and high energy content─seal is not to be sniffed at. When the Great White goes in, we go in for the kill. Show no mercy. It’s nothing personal and apart from you humans, other preys have never taken it personal. For being a bad example to the junior ranks and besmirching the honour of the Great White specie, Lil’ White has been banished to the Miami Sea World Theme Park. Lil’ White will live the rest of his days in a fish tank. For all I care he can make love to seals and whales and what not in there. Let’s see how he likes the taste of processed sheep and bacon. 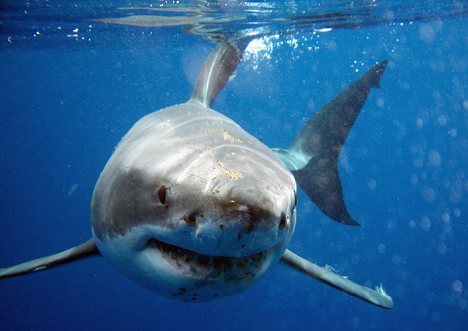 And for you cackling humans, if you think the Great White has lost any of its 300 teeth, why don’t you come surfing about here? Boy-oh-boy! If you live to tell the story, you’d be carrying your liver and entrails with you in some shopping bag everywhere you go. You have been warned. Now I need to get me some appetiser before dinner. Say some spicy tuna should do. Good Lord! I could eat an elephant. Thank goodness for the elephant seal. Damn! Do I fancy a swim to California tonight? Now how about the British government building that undersea High Speed 2 rail line to the California Bay? Make yourselves useful to us for once. We won’t hold our breath on it though.